Filing for bankruptcy is a serious and stressful decision to make. In such situations, debtors often seek advice on whether, and how they should go about resolving these debts. With the above in mind, this article aims to help you better understand your legal position before seeking a lawyer’s advice on what it means to be bankrupt. WHAT: Bankruptcy is a legal status of an individual who cannot repay debts of greater than $15,000 and is declared bankrupt by the High Court. HOW: Bankruptcy Applications can be filed by either the debtor, or the creditor, to the High Court. In the latter case, creditors will issue a Statutory Demand which will specify that, in the event that the debts remained unpaid past the stipulated deadline, the creditors will file a Bankruptcy Application. It is important to note that debtors can still be made bankrupt by the High Court even if they refuse to respond to their creditors’ demands. WHY: In comparison to their present debts, bankrupted individuals see lower pay back amounts as they will not be charged the interest for their debts. Furthermore, legal action from their creditors will cease as long as said debts were incurred before the Bankruptcy Order. The Bankrupt is to hand over all their assets to the Official Assignee, a court-appointed official who will sell off these assets to repay the creditors— i.e. realising the assets. These assets will be revealed under the Bankrupt’s Statement of Affairs, which he is to submit to the Official Assignee within 21 days of his Bankruptcy Order. The Bankrupt is legally required to regularly update their Income Declaration, and submit their Moneys & Property Statements to their Official Assignee. The Statement details the Bankrupt’s monthly income and expenditure. From this data, the Official Assignee assesses the monthly contribution the Bankrupt is to make to their Bankruptcy Account to repay their creditors. The Bankrupt is only allowed to leave Singapore after obtaining the Official Assignee’s permission to do so. The Official Assignee will take into account the nature of the bankruptcy and the Bankrupt’s recent conduct in reviewing the request. In attempting to go overseas without the Official Assignee’s approval, the Bankrupt may be stopped at Immigration, and their passport may be impounded by the ICA. The Bankrupt must disclose their Bankruptcy status to the lender if the credit they are obtaining exceeds $500. The Bankrupt must apply to the High Court before taking part in a business as a manager or director. The High Court’s approval will then depend on the nature of their bankruptcy and conduct since the Bankruptcy Order. The Bankrupt is disqualified from acting in such a capacity for any estates, trusts, or settlements. Permission must be obtained from the High Court before doing so– the approval of which is dependent on the nature of the bankruptcy and the Bankrupt’s conduct. The Bankrupt is also not allowed to commence or continue court actions, with the exception of actions for damages or compensation in respect of personal injuries or wrongful acts, without the permission of their Official Assignee. Given the many restrictions that come with bankruptcy, it is crucial for one to be aware of the other options available to debtors before making a decision. Most notably, the Debt Repayment Scheme (DRS) is available for debtors whose total debt is less than $100,000. The Scheme works by having the Official Assignee meet with the debtor and their creditors to draft up a Debt Repayment Plan (DRP) that all parties can agree on. The DRP maps out a plan no longer than 5 years for the debtor to repay their debts. This way, the debtor does not have to enter into the legal restrictions of official bankruptcy. Debtors cannot apply for the DRS themselves. The High Court may refer the debtor to the Official Assignee for debts less than $100,000. The Official Assignee then proceeds to determine whether the debtor qualifies for the DRS. A Private Arrangement refers to an agreement that debtors and creditors reach to settle the debtor’s debts. Such an Arrangement is arrived at without involvement from the High Court, and will not bankrupt the debtor. A Voluntary Arrangement refers to an agreement proposed by the debtor to the High Court, where the debtor proposes a plan for them to settle their debts. If the proposal is accepted by the creditors and subsequently implemented successfully, the debtor will not be bankrupted. A Court Dispute Resolution refers to a settlement of the repayment of the debtor’s debts in the event that the debtor is sued by their creditor under civil proceedings. If a Resolution is reached, the debtor is not bankrupted. Here, lawyers play an important role in helping debtors obtain the information about the alternatives to bankruptcy. Lawyers will also be able to help debtors formulate suitable arrangements or schemes for the repayment of their debts. Alternatively, debtors may also seek the assistance of Credit Counselling Singapore for advice on what alternatives they can consider. At the end of the day, there is no one-size-fits-all solution for all cases. There are several ways to go about removing one’s bankruptcy status, each dependent on the total sum of debts incurred, and the duration of the bankruptcy status. Do note that this information only applies to first-time bankrupts. When the Bankrupt has repaid their Target Contribution in full within 3-5 years, the Bankrupt is discharged if all their creditors agree to the decision. Upon discharge, the Bankrupt’s name will be removed from public records 5 years after the date of discharge. If their creditors object to the discharge, the Bankrupt must wait till they have been bankrupt for 5-7 years, where the High Court can reject any objections from creditors to allow for the discharge. After 7 years of bankruptcy where the Bankrupt has failed to pay the Target Contribution in full, the Bankrupt may be discharged from Bankruptcy, but their bankruptcy and name will remain permanently on the public record. Furthermore, with changes to the Bankruptcy Law effective 1 August 2016, the Bankrupt may also seek an Annulment of their Bankruptcy Order. An Annulment not only removes the bankruptcy status for the debtor, but also immediately removes his name off the public record for his bankruptcy. However, Annulments are often only available for debtors who have repaid all of their debt, and often requires agreement from all creditors– unless the High Court chooses to override the creditors’ objections. More details on Annulment and Discharge from Bankruptcy can also be found at our article here. Despite the number of applications for Bankruptcy in Singapore rising to from 2,704 in 2016 to 3,097 in 2018, the number of Bankruptcy Orders made has decreased in the same duration. It is evident that the expansion of alternatives to bankruptcy by the government has worked to help more debtors avoid the severe social and financial consequences of bankruptcy. It is then to the debtor’s advantage to be aware of the various solutions available to him, and the role of the lawyer to further clarify and help debtors achieve the best resolution. If you have any questions about winding up your business, you can get a Quick Consult with Lau Kah Hee or other lawyers. 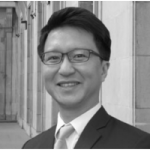 Kah Hee specialises in commercial and corporate litigation, and also teaches Company Law at SMU as an adjunct faculty. With Quick Consult, from a transparent, flat fee from $49, a lawyer will call you on the phone within 1-2 days to give you legal advice. This article is written by Lau Kah Hee from Derrick Wong & Lim BC LLP and edited by Justin Lim of Asia Law Network.